A fresh coat of paint can breathe new life into any residential or commercial property. This simple and affordable change helps to restore the appearance of older buildings, while enhancing the style and beauty of any area to bring more appeal and value to your property. For best results, contact a professional painting service that is able to deliver quality workmanship and flawless results. Boerne Painting Pros is the leading residential and commercial painting service in Boerne, Texas. With many years of experience painting interior and exterior surfaces, our team understands what it takes to make a property truly shine. Let us know what you envision for your home or business, and we will work with you to bring that vision to life. Boerne Painting Pros is a provider of professional painting and remodeling services for the Boerne, Texas area. We offer a range of residential and commercial services that have been tailored to offer our customers greater creative freedom and customization options when it comes to their property. Our convenient and affordable services ensure that the small details which give your home or business are seen to by qualified professionals with years of training, education, and experience. We are able to assist with basic carpentry, drywall finishing, painting, and staining. Whether you require baseboard installation or crown moulding replacement, our painters can help you put those final touches on your property that will make it truly unique and beautiful. Our team not only possesses the necessary knowledge and skills to provide exceptional care to our customers, but are also meticulous and artistic to ensure that the final results meet and exceed the expectations of our customers. Your satisfaction is our top priority, and through our combination of personal and attentive service, efficient work ethic, and quality workmanship, we are confident that we will be able to deliver results you will be pleased with. At Boerne Painting Pros, we strive to offer affordable services that comprehensively address the needs of our customers when it comes to the improvement, customization, or remodeling of their residential or commercial property. Our list of painting and remodeling services have been carefully chosen to offer our customers greater ease and convenience when it comes to the restoration and enhancement of their home or business. We provide interior and exterior painting and staining, as well as drywall and carpentry services for Boerne, TX property owners. Contact our professionals for assistance with the finishing touches on your home or business, and enjoy superior quality results and drastic transformations that will increase the appeal and value of your property. Our team is comprised of individuals who are dedicated and passionate, with years of experience in multiple areas of painting and remodeling. We have the knowledge and skills necessary to help you achieve the aesthetic you desire. Our professionals are timely and dependable, delivering beautiful results on time, every time. Our painting services are the bread and butter of our business, and has helped us to establish our roots in the community and build our reputation as a trusted service provider. We have been offering professional residential and commercial painting services to Boerne, Texas residents for many years. We specialize in interior as well as exterior painting of surfaces of all shapes and sizes. Our painters work closely with customers to provide a painting solution that will complement their property's architectural style and décor for a final result that will not only be aesthetically pleasing, but highly unique and representative of their brand or personality. We offer decorative finishes as well as cabinetry staining and other options to make your property stand out in all the right ways. Our team is able to deliver spectacular results in a timely and affordable manner for homeowners and business owners in the area. We offer a wide range of painting and staining services for the restoration, customization, or enhancement of your property's appearance and value. Contact us for more information regarding our range of painting services. Boerne Painting Pros offers interior painting services for residential and commercial property owners who require assistance with the restoration or transformation of their home or business. Our team is able to provide complete interior painting as well as single area painting and staining to meet your particular needs. This includes painting nurseries, bathrooms, bedrooms, kitchens, and living rooms, as well as cabinetry and more. We work with you to understand your personal style and preferences, and can help you determine a solution that will best complement your home or business while reflecting your unique tastes. Our knowledge of chromatics and quality workmanship ensure the end result is highly satisfactory. A fresh coat of paint can restore the beauty of any interior area, increasing the appeal and resale value of your property, while also making your home or business more inviting and pleasant. The exterior of your property should not be neglected. Curb appeal can contribute greatly to the value of a property. It is important to make a good impression on those who are approaching your property for the first time, whether they are guests, neighbors, or customers. Our professional exterior painting service ensures that the outside of your home or business represents you in a positive way. We offer painting, staining, and refinishing for all exterior surfaces of residential and commercial buildings, as well as surrounding features such as fences, sheds, and more. We apply the proper techniques to ensure that your new coat of paint or stain is able to hold up against the elements and natural wear and tear that outdoor areas are subjected to. Our team works quickly and efficiently to complete all exterior painting projects in a timely manner to minimize inconvenience and disruption to your family or business. 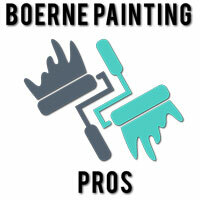 Boerne Painting Pros provides quality residential painting services to Boerne, TX homeowners for the restoration or customization of their property. We offer interior and exterior painting and staining of a wide variety of surfaces. Our quality workmanship and attention to detail ensures that our customers receive superior results when it comes to the transformation of their home. Our exceptional residential painting services will help to put the final finishing touches on your home to complete its look and add to its beauty. With years of experience in residential painting, our team understands what it takes to provide you with the best results possible. Improve the appeal and value of your home with professional painting and staining services from Boerne Painting Pros, and enjoy a more unique and welcoming sight when you walk through the door. In addition to our residential painting services, Boerne Painting Pros is also pleased to provide professional commercial painting services to business owners in the Boerne, TX area. Our team of highly qualified and experienced painters will ensure that your business receives the appropriate level of care and workmanship. We work expediently and effectively to transform commercial properties with our interior and exterior painting and staining services, as well as carpentry and drywall care. Let our team assist with your remodeling or makeover for professional quality results delivered in a fast and affordable manner. We work closely with business owners to determine their needs and achieve results that meet their highest expectations. Our custom home painting service allows homeowners to put their own unique sense of style and aesthetic into their home. Painting offers customers a vast selection of options from which to choose. Whether it is the color scheme or the decorative finish, your creativity freedom is only limited by your imagination. Turn your house into the home of your dreams with affordable custom home painting services from Boerne Painting Pros. We will be happy to work with you create a tailored look for your home that will reflect your personality and tastes. Our quality workmanship and professionalism make us the premier choice for home builders and homeowners alike when it comes to the customization and transformation of their home's interior and exterior. Over time, interior and exterior painted surfaces can begin to fade, chip, peel, or discolor. When cleaning no longer serves to improve the condition of your paint, it is time to consider repainting in order to restore the appearance of your property. Boerne Painting Pros provides professional restoration painting services to help you bring the vibrancy and beauty of an older property back. Our painters can restore the historic look of your property, or help you upgrade outdated wall colors to achieve a more modern look for your home or business. We offer interior and exterior restoration painting to assist our customers with the enhancement of their property. Our exceptional workmanship will ensure that your residential or commercial property benefits from improved appeal and value once we are done. Contact us to discuss your restoration needs, and we will help you find the perfect solution. Staining and painting are both excellent options for property owners who are looking to restore, enhance, or alter the appearance of their property to better reflect their style or preferences. We offer interior and exterior painting and staining services to help you transform your residential or commercial property. Our team will explain available options to you, and work with you to determine which solution is better suited for your needs. Staining is a popular choice for natural wood surfaces, and can preserve and highlight the unique characteristic of the material. This is often desirable for high quality wood cabinetry, doors, decks, banisters, and other wood features found inside and outside of homes and businesses. For more color options or complete coverage, lacquers and paints are ideal. A beautiful home or business can use a complementary combination of the two to achieve a unique and eye catching look that suits the architectural style of the building. Through the years, we have discovered that our customers often require interior or exterior painting as part of a larger remodeling project. We understand that it can be difficult to deal with multiple contractors for such projects, which is why we have extended our services to include remodeling services for the ease and convenience of our customers. Let us handle the small details and finishing touches on your home or business. We offer drywall services as well as carpentry services in addition to residential and commercial painting and staining to better address your remodeling needs. There is no need to hire two separate services to finish your drywall and paint your home. The experienced professionals at Boerne Painting Pros can do both and more. Our team has the training, experience, skills, and tools needed to deliver outstanding results for property owners when it comes to their remodeling needs. A beautiful coat of paint requires a smooth and even canvas for it to be applied on. No matter how expert the application, any flaw in your drywall will show through. That is why Boerne Painting Pros offers drywall services to better meet the needs of our customers. If there is any issue with your drywall, we can correct it before proceeding to the next step. We offer drywall taping and finishing for newly installed drywalls, as well as refinishing, repairs, installations, modifications, and more. Our team extends the same meticulous attention to detail and quality workmanship to our drywall services to ensure a flawless finish. ​Our remodeling services also include basic carpentry and woodworking to assist with those little details that help to make your house feel like home. Wood features can add charm and character to any interior or exterior area of a residential or commercial property. 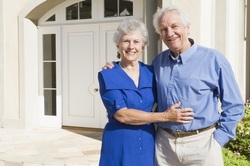 It is no wonder that they are a popular choice for many Boerne, TX property owners. Boerne Painting Pros provides wood detail installations, replacements, repair, and refinishing as part of our range of carpentry services. This includes baseboards, crown moulding, door and window frames, doors, wainscoting, cabinetry, and more. Our highly skilled and experienced team ensure that the carpentry work we do meet the highest standards for a final result that is beautiful and long lasting. Remodeling is an exciting opportunity for residential property owners to integrate their sense of aesthetic and design into their house, and turn it into a showpiece that they are proud to call home. Boerne Painting Pros offers home remodel painting to help you put the final custom touches into your home for a fully unique result. Choose from a wide variety of colors and decorative finishes to complement the architectural style and features of your home. Our team will work with you to help you understand the options available so that you can pick the best solution for your particular needs. Boerne Painting Pros is a locally owned and operated business situated within Boerne, Kendall County, Texas. We serve property owners in the city of Boerne, as well New Braunfels, San Antonio, Helotes and all the surrounding areas. We offer residential and commercial services which include painting, staining, drywalling, and carpentry. Please contact us to inquire if our team will be able to come to your location if your property is located outside of Boerne. We will be happy to help you however we can. "My husband and I wanted to change the color of our bedroom walls. A friend recommended Boerne Painting Pros so we gave them a call. They were friendly and did an excellent job. I couldn't be more pleased!" - Allison A. "I hired Boerne Painting Pros to repaint my garage, front door, and shutters after I noticed they had started chipping and peeling. The painters were polite, professional, and fast. I can't believe how quickly they finished the job!" - Tim G.
"The nursery looks amazing! And the little ducks I asked you guys to paint on the walls are just perfect! You have made this mom-to-be very happy. Thank you so much for the great work!" - Beth H.
"Boerne Painting Pros helped with the remodeling of our restaurant. They were a pleasure to work with and completed everything up to my very detailed specifications. I would be happy to work with them again." - George V.
"After a disastrous experience with a failed at-home drywalling attempt, we called Boerne Painting Pros to come to our rescue. They had done a fantastic job with painting our home, and they did not disappoint with their drywall services either." - Bret P.
"Our fence was starting to look old and weathered, so we decided it was time for a fresh coat of paint. We contacted Boerne Painting Pros and received a quote from a very helpful lady. After shopping around, we chose Boerne Painting Pros and do not regret the decision one bit." - Kate B. The first step towards a more unique and beautiful home or business begins with a phone call or email to the team at Boerne Painting Pros. We will be happy to offer interested customers a free quote for their painting or remodeling project. Let us know what you have in mind, and we will provide you with an upfront and accurate estimate for the job. Our team will also be glad to assist you with any questions or concerns you may have about our company, services, or operating area. Feel free to contact us, and we will respond to you as soon as possible. Furthermore, we appreciate any and all feedback regarding your experience with us. Tell us how we did so that we can further refine and improve our company to better meet your needs. Your reviews are important to us, so do not hesitate to let us know if there is a problem and we will work with you to resolve it. Even if everything is perfect, we would still love to hear from you so we know that we are doing something right!